Since we’ve been traveling with Yoda for several years, we often wonder what are the best airlines for cats out there. Is there a number one airline for cats we don’t know about? We have tested only a handful of pet-friendly airlines ourselves but there are dozens (even hundreds) of airlines that accept cats to travel either in-cabin or in the hold. If you wish to fly with your cat, read our personal experience and reviews of airlines we have used in the past to fly with Yoda. 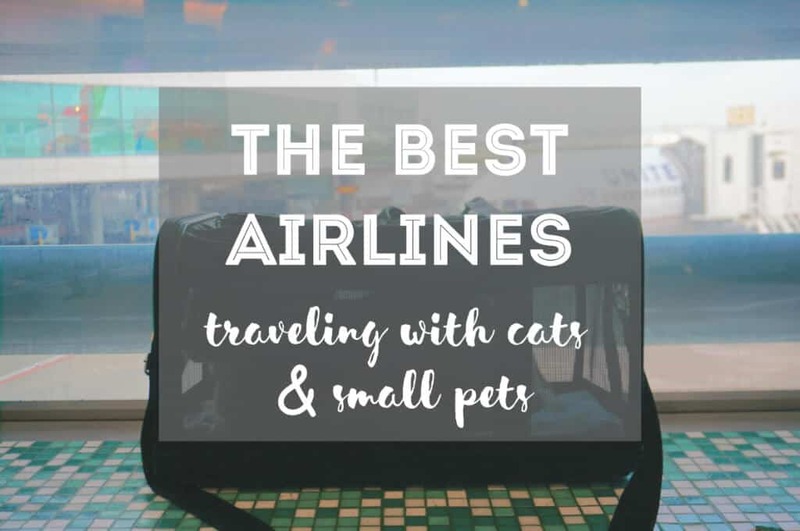 In addition, we list out the most popular airlines for cats highlighting each airline’s pet policies with up-to-date links and phone numbers so you can better prepare for your upcoming trip! Can My Cat Fly Without Me? We know how stressful it can be to prepare everything for your pet’s first flight. That’s why we’re here to help! For starters, let me explain how we book our flights with Yoda and the easiest and cheapest way to find the best airlines for cats. –> 1. First, we look for flights for us (not Yoda) 2-3 months in advance. We check which airlines offer the best, fastest, and cheapest deal. From the available options, we check each airline’s pet policy to see if they are a good fit for our needs. We ask ourselves questions like, is there in-cabin availability, how reliable is the airline, do they have an easy reservation process for pets, the fee, and so on. –> 2. Second, I do my research on each airlines website. Then, I call our #1 choice (the flight that’s also the best for us) and ask about their pet policy to reconfirm the information I found online. –> 3. Third, once I get the green light from the airline, I book our tickets online (I use Google Flights). After that, I call back to reserve the space for Yoda. Sometimes they let me pay in advance, sometimes they tell me to call back when it’s closer to the flight departure. I first traveled with Yoda on an airplane when I moved to Kathmandu, Nepal in July 2015. It was the very first time I ever flew with Yoda so I learned as I went. (You can read all about it in the link above). I was pretty stressed because we had a super long trip ahead of us and I had read many horror stories about putting pets in cargo. But long story short, everything worked out perfectly! Let’s get started with our reviews of the best airlines for cats. First, I’m going to talk about our experiences of booking each flight with airlines we have used (United, Qatar, and TAP Portugal). Next, I’ll provide all relevant resources so that you can choose which is the best airline for traveling with your cat! Finally, I’ll review the remaining best airlines for cats that are the most popular and most used, in addition to some last-minute tips. My first trip ever flying with my cat was on a domestic flight from Charlotte, North Carolina to Philadelphia, Pennsylvania. Although I booked my entire journey from the USA to Nepal via Qatar Airways, part of the trip was handled by United Airlines. –> If you fly with two different airlines when traveling with your cat, you will have to pay separate fees for each! Here’s what you need to know about traveling with your cat on United Airlines. Traveling in-cabin with your cat on United Airlines costs $125 each way. Likewise, traveling internationally on United will probably cost upward of $200. However, I’m not sure (I couldn’t find prices online). You need to check with the airline. You can choose to carry your cat in either a hard-sided carrier or a soft-sided carrier. I recommend a soft-sided carrier because it is more flexible and can conform easier under the seat. Hard-sided kennel dimensions for in-cabin travel (maximum): 17.5 x 12 x 7.5 inches LxWxH (44 x 30 x 19 cm). Soft-sided kennel dimensions (flexible): 18 x 11 x 11 inches LxWxH (46 x 28 x 28 cm). Cats do not need to have a proof of rabies vaccination when entering the U.S. But, you’ll likely need one if you’re exiting the U.S. as many countries require them. Nepal, France, and Mexico required proof of rabies for Yoda, for instance. United does not allow pets (cats or dogs) on flights to/from/through Australia, Hawaii, New Zealand, in addition to other locations (must contact United to know more). You cannot book international in-cabin travel for your pet online, you must contact the United Customer Contact Center. In-cabin fees are $125 each way. You must speak to a United agent at check-in to receive a yellow pet tag for your carrier. Hard-sided kennel dimensions (maximum): 17.5 x 12 x 7.5 inches LxWxH (44 x 30 x 19 cm). Soft-sided kennel dimensions (flexible) 18 x 11 x 11 inches LxWxH (46 x 28 x 28 cm). Cats are not required to have proof of rabies vaccination when entering into the U.S; however, some states require vaccination of cats for rabies. Check with state and local health authorities at your final destination. Call the United Customer Contact Center at 1-800-UNITED-1 (1-800-864-8331) to ask questions or book your cat’s flight. Familiarize yourself with United’s online pet policy here to know the ins-and-outs for your trip. Moreover, make use of the USDA APHIS tool here and select your destination country to see which vaccinations your pet will need when traveling from the US or to the US. ⚠️ We know United has had some scary statistics and stories about flying with pets in the past. That’s because they accepted brachycephalic breeds (flat-nosed/face dogs or cat breeds that have trouble breathing) in the hold. Due to this, there have been reported deaths of these types of breeds. That is to say, please do not put your pet’s life at risk and always search the airline’s policies before booking your flight. I am unaware if United has changed their policy. With that being said, we’ve only ever flown on United Airlines with our cat Yoda in the cabin, safely at our feet. We have had two successful and safe flights with our cat in-cabin on United Airlines which is why we include it in this article. Let me just say, I was pleasantly surprised by Qatar Airways customer service when it came to checking in Yoda for his overseas journey in cargo! I was stressed about Yoda going in cargo, yet all the Qatar Airways representatives reassured me that the pilot knew that my cat was below deck and to check that it was pressurized and properly temperated. They also showered Yoda with compliments, which made me fuzzy too. Yoda and I checked in for our long-haul trip from Philly to Doha, then Doha to Kathmandu. I couldn’t see Yoda during the layover, so I just had to hope and pray he was doing all right. When I picked him up in Kathmandu, he was relieved to see me. In sum, he was slightly stressed, but he looked healthy and rested. Here’s what you need to know about traveling with your cat on Qatar Airways. First, you can only fly your cat in cargo on Qatar Airways. Second, the fee to fly your cat in cargo on Qatar Airways ranges from $200-350. If you have a larger pet, such as a dog, you can pay up to $450. Finally, your cat will be considered and charged as ‘excess baggage’ up to a certain maximum weight and size (see table below for prices). The cost of transportation depends on the weight and size of your cat along with its carrier or crate. Transporting your cat as excess baggage is charged despite if you use the free baggage allowance or not. Total dimensions of the pet container/cage should not exceed 118 inches (300 cm). Like any other airline, Qatar reserves the right to refuse carriage of your cat if they find the dimensions to be too small. Proof of rabies vaccination certification (plus maybe other vaccinations and proof of microchip). International Health Certificate signed by the vet and USDA. Make sure to make copies for the airlines. I kept the original documents in a folder with 2-3 copies of each. I also carried Yoda’s entire vaccination history, all receipts (including from the vet bills, the USDA purchase, and FedEx shipment). You can never be overprepared when it comes to traveling with your pet! Your cat or dog can only fly in cargo (service animals might be an exception). Fees will depend on weight and size. Yoda fit in the smallest category (your cat most likely will too). The fees to go to Qatar with that weight/size are $250 and to all other destinations cost $350. Your cat cannot fly in-cabin and must fly in cargo for a fee of $250-350. Cargo carrier dimensions not specified, but see above recommendations. Contact Qatar Airways in advance (at the time of booking your own flight) to reserve space for your cat. Make copies of all your cat’s health certificates and vaccination records. Exotic and Persian/Shirazi cats are not allowed due to breed health concerns. Call Qatar Airways to ask questions and reserve your cat’s flight. You cannot do it online and don’t waste time by sending questions via email. Call and talk to an agent at +974 4023 0000 to reach Qatar’s general reservations line. This link here will tell you more about your pet traveling as excess baggage on Qatar flights. Next, read about breed and age restrictions here. Finally, here’s Qatar’s main page about transporting pets. After this long trip to Nepal, Yoda didn’t fly again for 11 months. When we left Asia, we flew Yoda separately in cargo with Cathay Airways from Kathmandu, Nepal > Atlanta, Georgia. Then, after 4-5 months back in the USA, we moved to Europe (August 2016). Due to flight options available for me, we found it both cheaper and faster for Yoda to fly in cargo (again) without being accompanied. I’m not going to talk about those flight processes here, which is a little different than booking a flight WITH your cat. But I’ll briefly talk about the process of booking your cat on a plane without you toward the end of this article. So, on to the next airline that we used to travel with our cat! Yoda’s 3rd flight with us was from Europe back to the USA in March 2018 via TAP Portugal. –> Our itinerary: Lyon, France > Lisbon, Portugal (layover) > Miami, Florida. Flying into the United States with a cat is SOOO much easier than flying from the States. Traveling with Yoda on this journey was the very first time that Paul, Yoda, and I would be on the same flight together, all in-cabin! 🙂 It is one of our favorite trips to date. TAP Portugal has a very straight-forward, easy-to-navigate pet policy. It might seem like a lot, so I’ll do my best to break it down. The cost to fly your cat with TAP Portugal depends on factors such as destination and pet weight. See table for details. So, we flew with Yoda in the cabin on an intercontinental flight, which equals €150 (or $185 depending on the daily exchange rate). I just looked at our email receipt and we paid 170 USD for the entire trip (March 2018). 8 kg / 17 lbs is the maximum allowance for the total weight of the carrier with your cat inside for in-cabin travel. You can only use a flexible, soft-sided carrier for in-cabin transport, which is what we used on our flight from France to the USA. Those dimensions are not very big! But if you have a flexible carrier, you can make it work. I believe Yoda’s carrier was 18 inches in length. The end stuck out at Paul’s feet, so he just straddled it on either side (which probably comforted Yoda more, too). Yoda was so quiet and the carrier (which was black) was so unnoticeable that literally, no one realized we were traveling with our cat on the plane until we left to exit. 45 kg / 99 lbs = Carrier with your pet inside. 32 kg / 70 lbs = Cannot exceed this limit on flights to, from or stopping over in the USA, Hungary, France or the Netherlands. If you are flying into the USA from Portugal (like we did), all you need is a copy of your cat’s vaccination records, health certificate signed by a vet indicating your cat is fit to fly, and that’s about it. Show these documents at check-in and at the gate prior to boarding the plane. You can fly your cat on TAP Portugal in either the cabin or in the hold, but it depends on the route, destination country, and so on. You only need a soft-sided carrier lined with an absorbent mat for in-cabin travel. For transport in the hold, you’ll need a hard-sided carrier with reinforcements, plus food and water. Before you book your ticket, make sure to call and ask if the route, aircraft, (etc.) can accept your cat in-cabin. 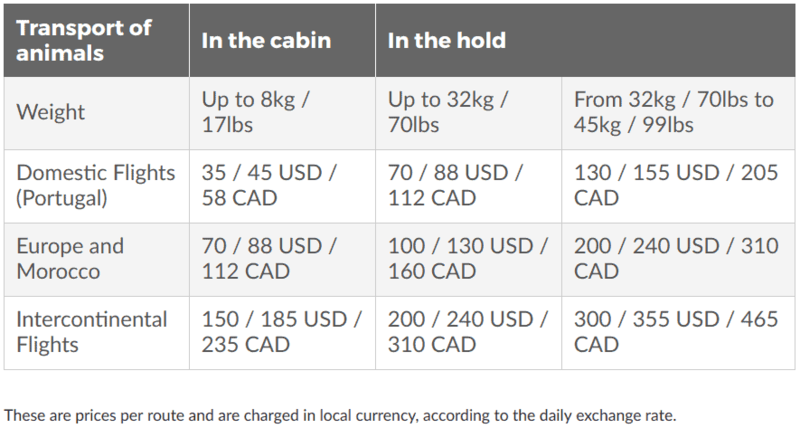 In-cabin fees on intercontinental flights (Europe > USA, for example) cost roughly 170-185 USD depending on the daily exchange rate. Take copies of vaccinations and certificates to show at check-in. Some cat breed restrictions apply. See website link below for details. Please check TAP Portugal’s full pet policy here as it contains all the information you need to know before your flight. The 4th time we traveled with Yoda we flew from Charlotte, North Carolina to Puerto Vallarta, Mexico (April 2018). We flew with United Airlines again with our cat in-cabin. The journey was smooth and stress-free! We have already covered 3 popular airlines for traveling with cats out of the 12 in this article. The above airlines (United, Qatar, and TAP) are airlines we have personally used and can thus recommend based upon our experiences. –> The airlines listed below are for informational purposes only – we have not yet had first-hand experiences flying with these airlines. Spirit Airlines is the leading low-cost airline in the States. While that is attractive for many budget-travelers, their pet fee is a little higher than other competitors. What’s more, some customers have noted that despite having reserved for their pet ahead of time, they had to rebook last minute since Spirit only accepts 4 pets per flight. If your Fluffy or Fido isn’t saved a spot, you might get booted onto a next flight (with incurring charges – yikes). 18 x 14 x 9 inches (L x W x H) is about the same as Frontier Airlines (but at a higher price). Spirit Airlines does not require a health certificate, but that does not mean your destination state doesn’t either. Check with local authorities or a vet to be safe. No pets on international flights. Call 801-401-2222 to reserve your pet’s spot. My advice is to call at least three times before your departure to ensure your cat or pup has been reserved a spot out of the 4 maximum containers permitted. See all flight details and information regarding flying with your pet on Spirit Airlines here. WestJet is a low-cost Canadian airline which deserves its spot on the list for best airlines for cats and small pets! Why? Simply because they offer one of the cheapest in-cabin fees for travel within and between the U.S. and Canada. Not to mention, even if you travel with a larger cat or pup, their checked kennel fee amounts to some other airline’s in-cabin fee. WestJet also flies to several popular destinations. You’re definitely in luck if you’re frequently traveling between the U.S. and Canada. Varies depending on the daily exchange rate. However, you can expect to pay between 50-60 USD for in-cabin travel in U.S./Canada. Their carrier dimensions aren’t the biggest around, but if you have a medium-sized cat you should be just fine. Yoda is a little lengthier at roughly 18 inches, so he might not fit on this airline. Check WestJet’s website for full details on entry requirements (see link under “Contacting WestJet). As a general rule of thumb, your cat will need up-to-date vaccinations and most likely a signed health certificate stating your cat is fit to fly. WestJet allows small cats and dogs in the cabin and as checked kennel on most international flights. Dogs and cats are not accepted on flights to, from or through Barbados, Hawaii, Ireland, Jamaica or the UK in carry-on or cargo. In-cabin dimensions are for soft-sided carriers only. Check their website for kennel dimensions. Some location restrictions apply for international travel. 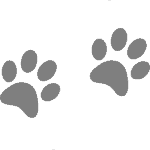 Here are all the general entrance requirements for cats or dogs flying with WestJet. They categorize into state/countries so you can easily and quickly find out which vaccinations and certifications you’ll need for your pet. Call 1-800-WEST JET to reserve your cat’s flight and ask questions. Allegiant Air is a well-rated, popular discount airline for travel within the U.S. You can easily fly with your pet to Florida to Las Vegas! Traveling with your cat on Allegiant Air is meant to be a breeze. Their simple $100 in-cabin pet fee is pretty reasonable and their carrier dimensions are pretty attractive as well. Yoda would definitely fit under the seat on Allegiant Air! Their dimensions are quite spacious at 19″L x 16″W x 9xH! No more than 2 pets per carrier allowed. Allegiant welcomes cats on board for travel in the 48 contiguous U.S.
Travel to/from international destinations “may not accept all pets.” This wording is taken directly from their website and is a bit vague. Definitely contact the airline to clarify what they mean before booking your flight. International travel may not be possible – contact the airline to verify. Find out more about traveling with your pet on Allegiant by checking out their website here. As you might know, we now live in Mexico. But we haven’t yet tried flying with Frontier! Nonetheless, Frontier seems to have one of the cheapest onboard fees for cats and dogs flying from the U.S. to Mexico (and to the Dominican Republic). Slightly smaller than some of the competing airlines, but if your cat or pup is small enough, why not? Just be sure to properly measure your cat beforehand to ensure a comfortable flight for your feline. Your cat might not need a health certificate if flying domestically within the U.S. (check with state authorities first, please), but your cat will need a health certificate to fly to Mexico or the Dominican Republic. “The USDA regulates the transport of pets within the U.S. Frontier does not require a health certificate for pets in the cabin traveling within the U.S., upon arrival, a certificate may be required by the specific state in which you are landing. For clarification, please call your veterinarian or see the U.S. Department of Agriculture’s Veterinary Services. I am placing the above in quotes because this applies not only to Frontier’s pet policy but pretty much every airline. Make sure to remember it! Even if you are traveling within the U.S., some states might require additional documentation. The only international routes your pet can fly on is to Mexico and the Dominican Republic. No cargo option is available. International travel will always require a signed health certificate. Call Frontier to verify your information at this number: 801-401-9000. Make sure to also read over their website page on pet travel here. Alaska Airlines is another contender for the best airlines for cats (and small pets). Their in-cabin fee and checked pet fee are the same and cost just a mere 100 USD. I especially appreciate their organization and clarity when it comes to their pet policy. Their website is one of the simplest to digest among all the airline pet policies which makes a huge difference when trying to find out what exactly the airline accepts and doesn’t accept. Alaska Airlines also opens up the door of possibilities for flying with your pet because they allow not only dogs and cats, but also ferrets, guinea pigs, hamsters, household birds, non-poisonous reptiles, pot-bellied pigs, rabbits, and tropical fish. A simple $100 fee per pet each way for both in-cabin and cargo travel. They have two dimensions for hard carriers and soft-sided carriers (see infographic above). The only difference is 1.5-2 inches difference in height with soft-sided carriers (due to flexibility). Cats traveling in cargo must have a signed health certificate issued within 10 days of travel. Health certificates are not required by the airline for in-cabin travel. However, the state which you are flying to might require a health certificate, so check with local officials and the destination state veterinarian. In addition, your pet will need a rabies vaccination certificate and up-to-date vaccinations. Only dogs and cats are allowed on board when traveling to the United States from a non-US location. Only dogs and cats can travel to Mexico, Canada, and Costa Rica. Restrictions may apply for pets traveling to Hawaii and other destinations. Check the airline’s website for full details. Location restrictions apply for pets other than dogs and cats. Check with an Alaska Airline agent for details. You should always check with the Center for Disease Control and Prevention to find out which vaccinations your cat will require upon entry into a specific state or country. Call 1-800-252-7522 to speak to an Alaska Airlines representative for booking your pet’s travel. Please read Alaska Airlines traveling with pets policy for more information. Southwest’s pet policy is pretty straightforward. They are a popular airline for domestic travel as their carry-on fee is reasonable and their carrier dimensions are bigger than some other airlines. Only vaccinated cats and dog are allowed to fly in-cabin on Southwest. Southwest even offers their own pet carrier if you frequently travel with them. The Southwest airlines pet carrier is 17L x 9.5H x 10W inches. If you use another brand carrier, the maximum dimensions are 18.5L x 8.5H x 13.5W inches. Both soft-sided and hard-sided are permitted, but we recommend to use soft-sided to avoid any issues. The carrier can contain up to 2 cats or dogs (must be of the same species per carrier). Your cat’s vaccinations must be up-to-date. There’s no mention of a health certificate required for cats or dogs, but please check with the airline when you call to make a reservation. No pets are allowed on international flights or flights with international itineraries. Reservations must be made in advance by calling 1-800-I-FLY-SWA (1-800-435-9792). Check Southwest’s full pet policy here. JetBlue has one of the cutest and clearest pet policies for airlines. Their program, “JetPaws” is designed to give pet owners peace of mind by facilitating the process as much as possible. The opportunity to earn TrueBlue points for each time you fly with your pet. A special bag-tag to identify that your pet is ready to fly. A handy list of “petiquette” (aka guidelines for pet travel and behavior). They have a simple, straightforward process that makes JetBlue one of the best airlines for traveling with cats. I’d be happy to pay the extra cash for a program that really endeavors to look after the health and safety of my cat when flying. The only downside (for us, personally) is that JetBlue’s carrier dimensions might be too small for our Yoda who is on the larger end of the scale. The pet carrier cannot exceed 17 x 12.5 x 8.5 inches (L x W x H). Also, the combined weight (pet + carrier) should not exceed 20 pounds. If you have a hefty kitty, JetBlue might not be the airline for you. JetBlue also offers their own line of pet travel products, including carriers if you’re not sure about sizing. Remember, your cat/carrier count as one carry-on bag onboard. To fly with JetBlue, make sure your cat or pet is up-to-date on their vaccinations. Your destination might also require a health certificate. You can check with local authorities and vet, or speak to a JetBlue agent. Trinidad and Tobago (POS) or on interline flights. Reserve your cat’s flight online or you can call to speak to an agent at 1-800-JETBLUE (538-2583). Don’t forget to check JetBlue’s website for full details about traveling with pets onboard. Delta is one of the most popular airlines for traveling with cats (and pets in general). They are a trusted airline company that endeavors to handle your pet’s trip with care. Their pet fee is a little higher compared to other domestic airlines, but overall they are doing a great job. Here’s everything else you need to know about flying with your cat on Delta Airlines. Fees for traveling with cats in-cabin are as follows. Delta doesn’t specify the carrier dimensions, as the maximum limit might change depending on the aircraft. Check under-seat dimensions of your aircraft with this link here. Delta does mention that your pet “must fit comfortably in a kennel without touching or protruding from the sides..”. It also must be leak-proof (meaning add an absorbent pee pad on the bottom). It must have ventilation on two sides. Your cat needs to have all vaccinations up-to-date in addition to the health certificate certifying your cat is able to fly. In-cabin fees one-way range from $125-200 depending on origin and destination. There are country, age, and weight restrictions for in-cabin travel. Please check on the website (links below). Carry-on dimensions are different depending on the Delta aircraft. You must contact United as soon as possible to reserve a space for your pet. Cats (and other pets) are accepted on a first-come, first-serve basis. Call Delta in advance at 800-221-1212 to reserve your cat’s space on board! Here is the full list of requirements for flying your cat on Delta Airlines. 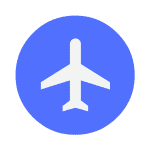 Call Delta Reservations to check the maximum carrier dimensions of your specific aircraft. American Airlines is a popular airline for traveling with cats, coming in right behind Delta! We simply place it as #1 in this article because they have a good balance of available services, locations, and fees. For one, they offer one of the largest in-cabin carrier dimensions. For two, they allow pets in-cabin on popular routes from the U.S. Let’s see more below! Their $125 pet fee might seem steep for short domestic flights, but if you consider a trip from U.S.-Mexico (for example), the fee isn’t that bad. If you travel with larger cats, American Airlines offers spacious under-the-seat dimensions at 19L x 13W x 9H inches. See their website for the full guidelines for checked pets in cargo. Your pet will need up-to-date vaccinations. In addition, if you travel internationally, your cat will need a signed health certificate by a vet (and issued within 10 days of travel). Talk to an AA agent to check the list of documents you’ll need to safely fly with your cat. Destinations marked with a * might have restrictions. Please check the AA website for full details. In sum, American Airlines pet policy contains a lot of information. Please be sure to check their website to read all the requirements in full before choosing to fly with your cat on this airline. Call the number in the infographic above to speak to an AA agent about reserving your pet’s flight. Wow! You made it to the bottom-ish of this article. 🙂 Now, before you go, I want to provide some answers to some FAQ. Can kittens fly on certain airlines? Yes, and no. Many airlines (like the ones above) state a minimum age on their webpage. Some answers vary depending on the airline, but most frequently it is 8 weeks minimum. Can pregnant cats travel on planes? Most likely no. In at least 99% of the airlines I mentioned above, each one states pregnant cats cannot travel on planes. You will need to contact the airline directly! In some rare cases, pregnant cats can travel on planes if they are accompanied by a signed health certificate. Are there breed restrictions for traveling with cats on planes? Yes, mostly “exotic” cats such as Burmese, Persian, and some other cats. There are breed restrictions for a reason and they are meant to protect your cat’s health and safety. –> Please contact each airline before booking a spot for your cat as an airline has the right to deny boarding if they find you are not following regulations. Can I travel with my cat overseas? Of course! However, not all cats will take so well to flying long trips like our cat Yoda. We are extremely lucky. Do not force your cat to “like” the carrier, do not tranquilize your pet for overseas travel, and do not book with an untrusted airline carrier. It is really important to do your research first. How much does it cost to fly a cat internationally? It all depends. We find it most affordable to choose a reputable airline that allows your cat onboard for international flights. Cargo is more expensive and way more of a hassle. If you must ship your cat or pet separately, do so with a known airline that offers to fly your pet without being accompanied (read more below). Yes, you can fly your cat on a plane without you having to be there. We have had to do this twice for Yoda, for instance. Once for flying him out of Asia and once for flying him to Europe. Please heed my advice – do not hire a private or third-party pet transportation company to handle your pet’s flight! This will cost you thousands of dollars. I have emailed them before out of curiosity and was astonished by the response. Sure, they’ll do everything for you, but I do not think it’s worth that amount of money. –> If you need to fly your cat without you, the process is relatively simple and is similar to booking your cat in cargo. You will need to contact the airline, per usual, and ask about shipping your cat in cargo without you. In addition, you will need all up-to-date certifications and proper kennel dimensions on top of the water and food bowls, “live animal” stickers, a pee pad, and other accessories. You can do this on your own in less than a week, I promise. The hardest part is probably having to drop off your cat early at the cargo office, in my opinion. (At least 3 hours before departure). If you are still reading this, thank you so much! This gigantic article is meant to help make traveling with your cat less of a mess. After all, once you do it once, I promise the process gets easier. It’s just a checklist and once you know it, you’ll see how easy it really is. Please send us your comments, questions, or just your insights in the comments below! In addition, if you are willing to please share with us your experience with these airlines! We are happy to update our content as much as possible to keep it relevant and fresh for new readers wanting to know the best airlines for traveling with cats. In conclusion, thanks so much for reading and best of luck on your adventures in the sky with your fluffy friends!